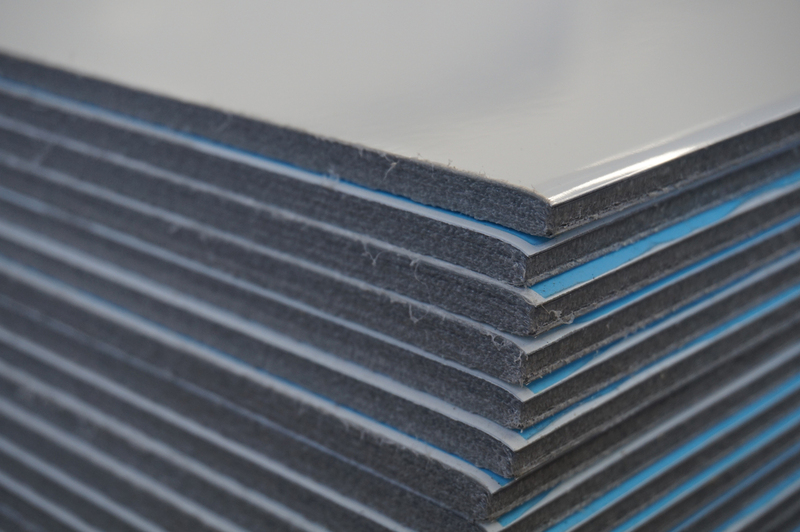 Blade panels are slim, lightweight and extremely durable panels that provide a superior impact resistance and greater internal cubic capacity. Blade panels are a 7.5mm composite with an HDPE (High Density Polyethylene) foam core, faced with high tensile strength steel and finished with a baked polyester paint. Blade panels are significantly stronger than other types of materials. The panels are highly resistant to punctures, dents, and corrosion. Blade panels will not tear or rip, nor will they gouge or splinter like plywood or fiberglass-reinforced panels (GRP). The plastic core does not absorb moisture, making the panel resistant to the rot and delamination that are commonly associated with the use of wood-based products. And, unlike aluminum, Blade steel skins do not dimple, wrinkle or pit with exposure to the weather.